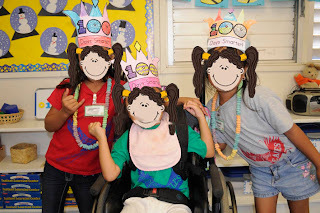 Mrs. Ricca's Kindergarten: 100th Day! 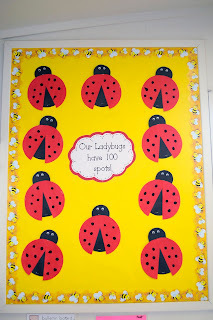 We used finger paints to make 100 ladybug spots. Then we counted them by tens! 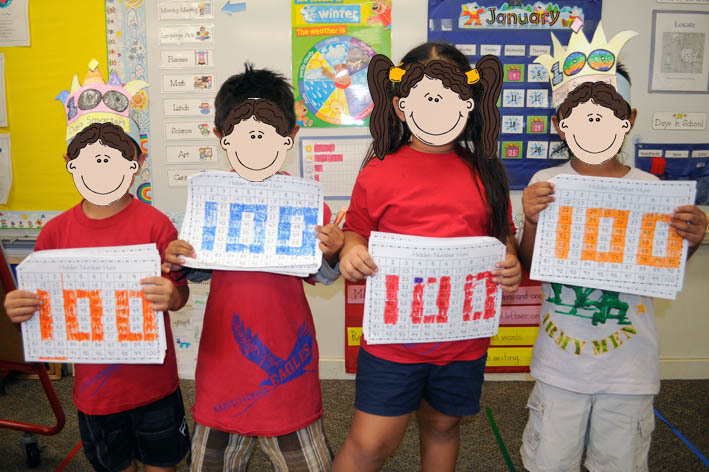 Today, I introduced the hundred chart. First, we talked about and highlighted the patterns we noticed. 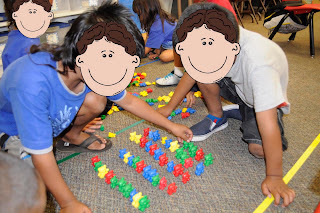 Then we counted to 100 by ones and tens while a helper pointed. 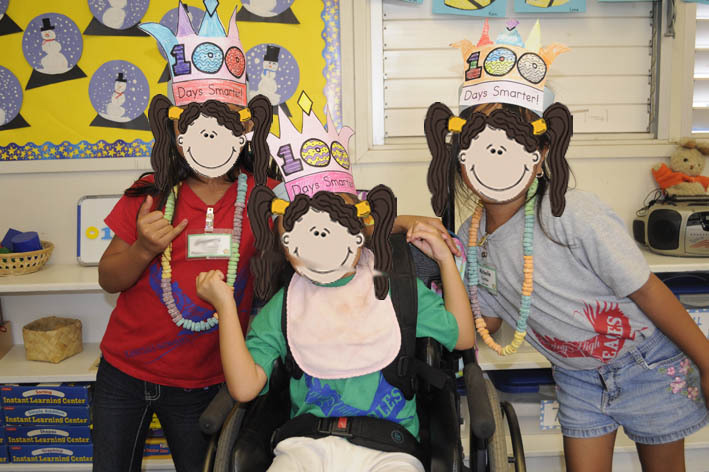 We watched these music videos and used our bodies as we sang and counted to 100. 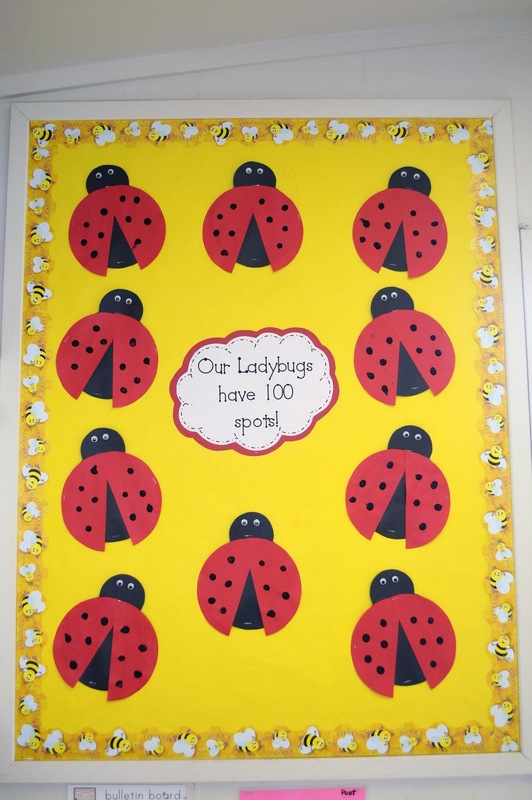 This got the kids super excited about counting to 100!! 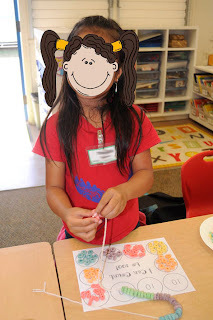 Loved it! 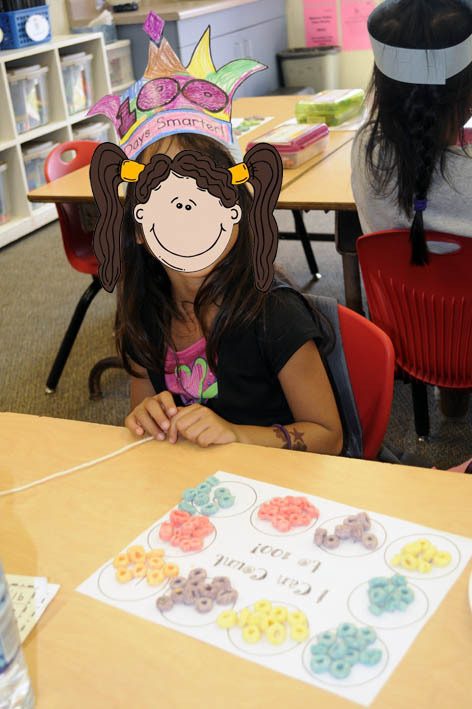 We used a Counting Mat to count 100 fruit loops for our 100th Day Necklaces! 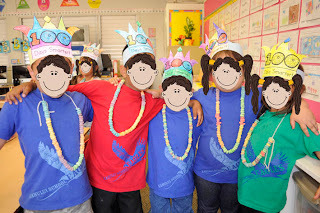 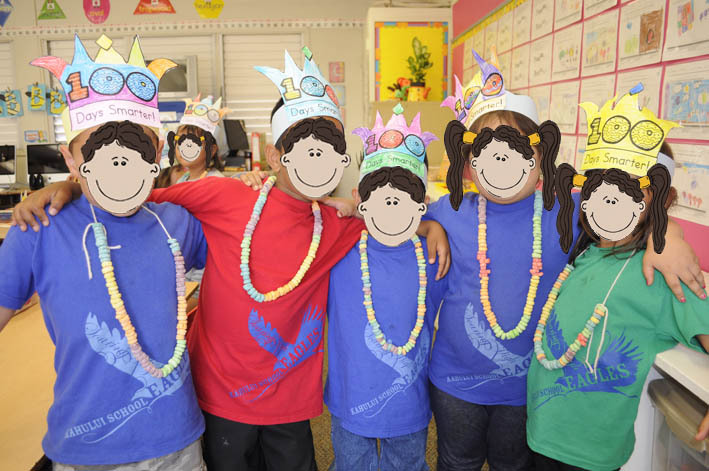 We made these adorable crowns to wear for our hundredth day celebration! 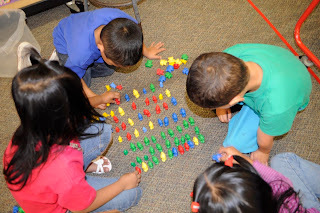 We worked in small groups to count out 100 objects. 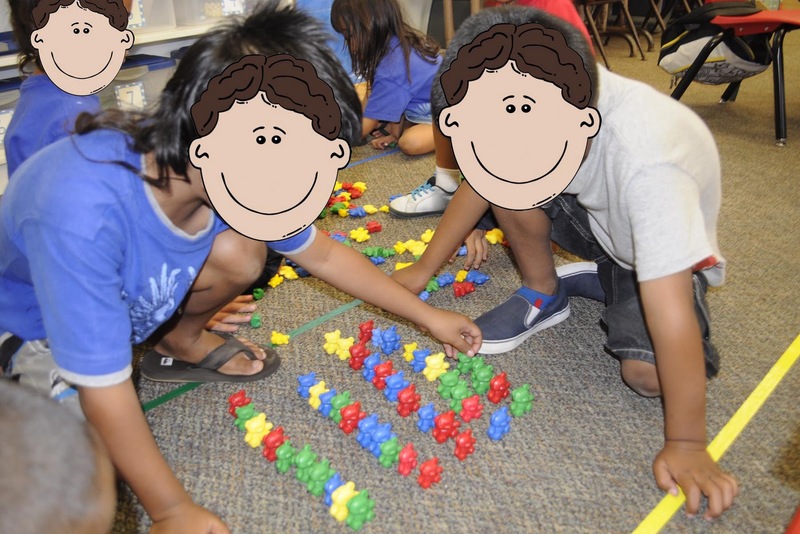 We decided the easiest way would be to make rows of ten. 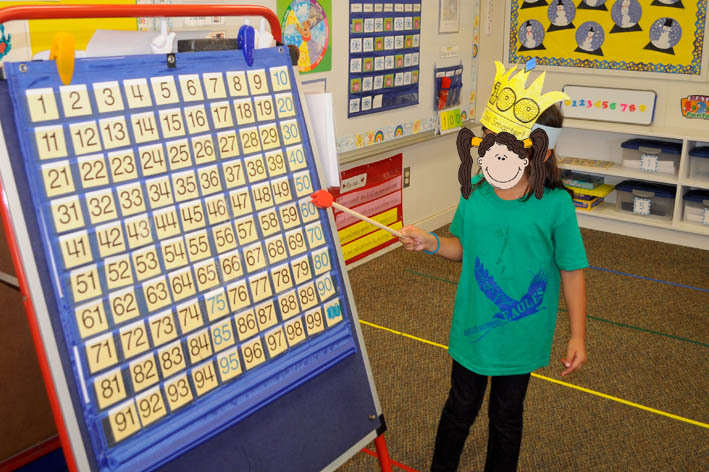 The first team to make 100 got to choose a prize from the treasure chest! 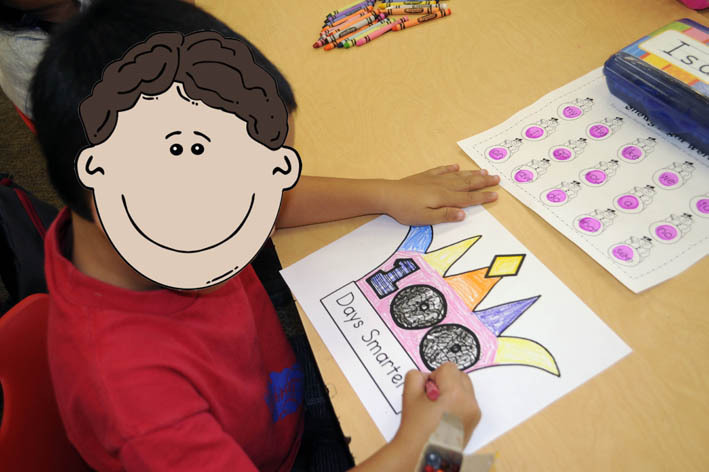 The kids colored in numbers on their hundred charts as I called them out, and revealed a hidden picture! We also read 100th day stories, did 100 exercises, drew what we will look like at 100 years old, and wrote about what we would buy with $100. 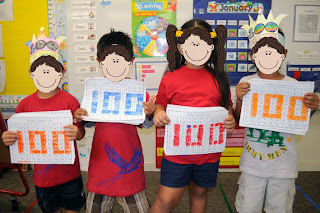 We had an awesome hundredth day!! Stop by my blog and see what we're playing. 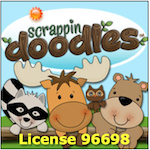 I love these videos and have to post them on my blog!